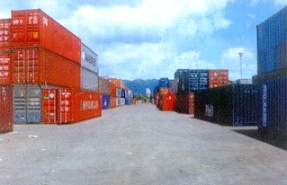 Inland Container Depot, Tughlakabad was commissioned on 1st September 1993. It is situated on southeast of Delhi . 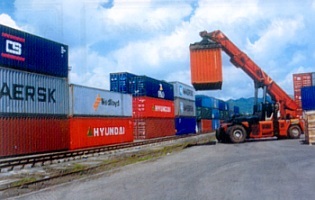 It is the flagship terminal of CONCOR and is pioneer in development of containerisation in the country. 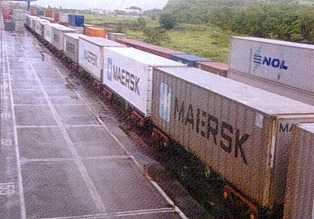 ICD/TKD is India's biggest dry port. Its hinterland comprises of all states of Northern and Western India. ICD/TKD has daily train services to gateway ports, JNPT, GTIL, NSCT, PPSP and MDPT. It has new state of the art equipment and facilities, coupled with an excellent rail linkages to the gateway ports. It also touches the NH-2 and is conveniently located, having approach to major roads in Delhi connecting all National Highways leading out of the state. It is also certified ISO 9001-2008. - Administrative building of 8000 sqm of built up area - housing offices of CONCOR, Customs, Bank, ATMs, Canteen, Shipping Lines, CHAs, Transporters, Surveyors & Business Centre etc.